In short, the Phase 1 objective is to identify risks and put them into context (if they exist). So, by far the most important element of your Phase 1 report is the delivery of a simple yet robust description of risks at your site in a format referred to as a Conceptual Site Model or CSM. Depending on the specific nature of the site and what the desk study finds, the CSM might be presented as a table or as a diagram, or both. What you are looking for is a clear, concise description of the findings and for these to be put into context, click on the following images for examples of how a CSM might look. 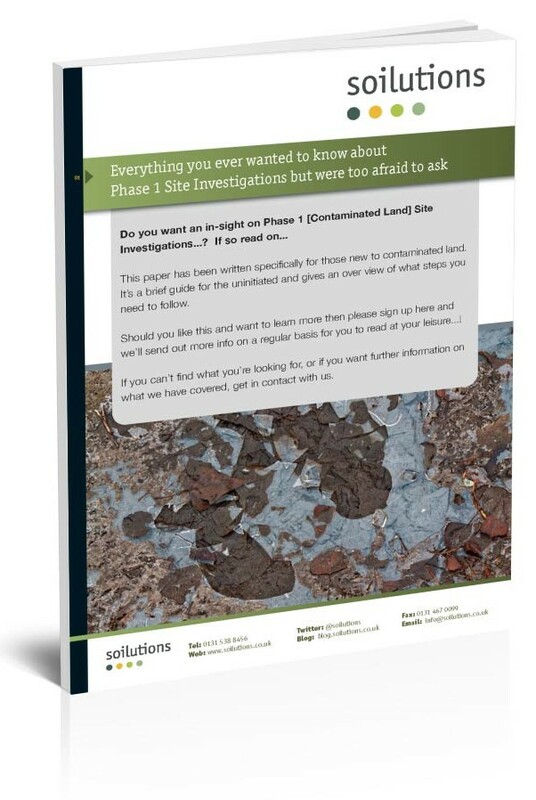 The detail in the CSM becomes that bit more critical when a site is found to have environmental issues needing further investigation, which will be outlined in the upcoming blogs and available on our soon to be published White Papers: “Everything you wanted to know about Phase 1 Site Investigations, but were afraid to ask” and “Everything you wanted to know about Phase 2 Site Investigations, but were afraid to ask”. Phase 1 Information Gathering – What, How and Why? Site History is obtained from historic maps and aerial photographs (mainly) and is used to identify activities on or near the site that occurred in the past that might have had the potential to contaminate the site. While a review of the history of site will provide you with a window to the past life of a site, the Phase 1 needs to consider the current site use and the conditions on, around or under the site that could contribute to risk. We use available data from a comprehensive database of registered pollution incidents, environmentally sensitive areas, waterways, groundwater resources and potentially pollution activities as well as the geology and expected hydrogeology of the region and this is an abridged list of available information. While using Google Earth and Street View can be very handy in seeing the general conditions on and around the site, the benefits from a detailed site inspection as part of the Phase 1 are extensive. Putting the site history and other information from the desk research into context is vital in understanding risk. If no risk exists then that is one positive outcome, if a risk is identified, first hand knowledge of the site and possible constraints will make our recommendations that bit more relevant. Stakeholders might include the landowner/occupier, Local Authority or EA/SEPA to name a few. The discussions can provide useful information on otherwise unknown areas of concern and in the case of the Local Authority or EA/SEPA can provide very valuable insight into the expectations of the regulators, this group is ultimately the one you want to satisfy in your final reporting. Discussions might happen during the walkover but usually involves a phone call or two to Stakeholders and may only take a few moments but have a lasting and positive impact on the outcome of the project. Don't be fooled by the plant growth, this is heavily contaminated ground! 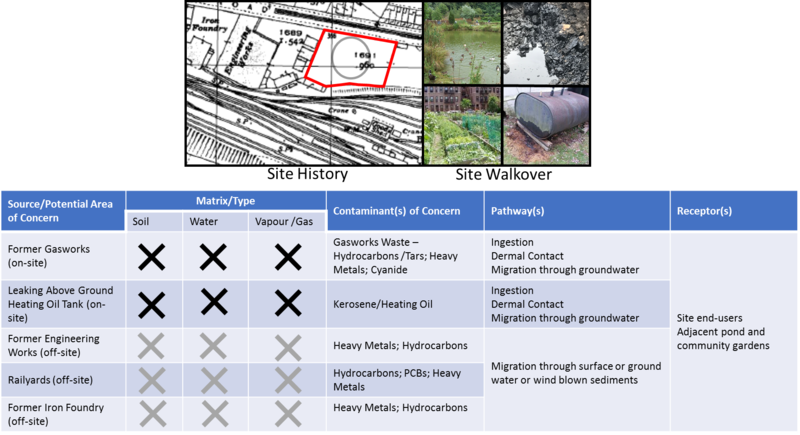 If you live on or near contaminated land and/or own some, then the answer is most likely to be a resounding ‘yes’. Finding out if you are at risk is another matter, however if you know it is contaminated then assessment work will most likely have already been carried out and therefore the risks should be known. There are many other potential risks including those to the environment, the list above is focused on the main issues which are likely to affect people living on the land. If you are responsible for the land, then the cost of the cleaning the land up is something to bare in mind. 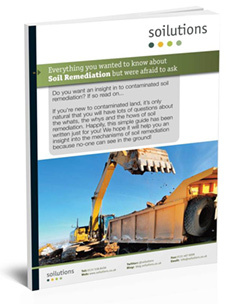 It is reasonably safe to assume that your property hasn’t been built on contaminated land as regulations are in place to help prevent this happening. Click here to read more about the regulations. 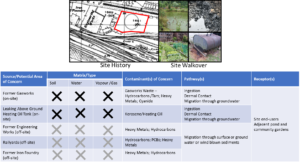 Sites can however become contaminated as a result of direct contamination e.g. fuel spills, or in-directly from contaminants moving through the ground from other sites such as industrial sites. If you’re unsure then a good place to start is with a Phase 1 study, read more on them here. As always we’re here to help if you have any questions, feel free to contact us on 0131 538 8456 or drop us an e-mail.